Two Tier Wedding Cake, Tortworth Court, Wotton-Under-Edge. Base tier of Belgian Couverture Chocolate sponge filled with whipped Belgian Couverture Chocolate Ganache, top tier of fresh lemon zest sponge with whipped Lemoncurd Buttercream filling. 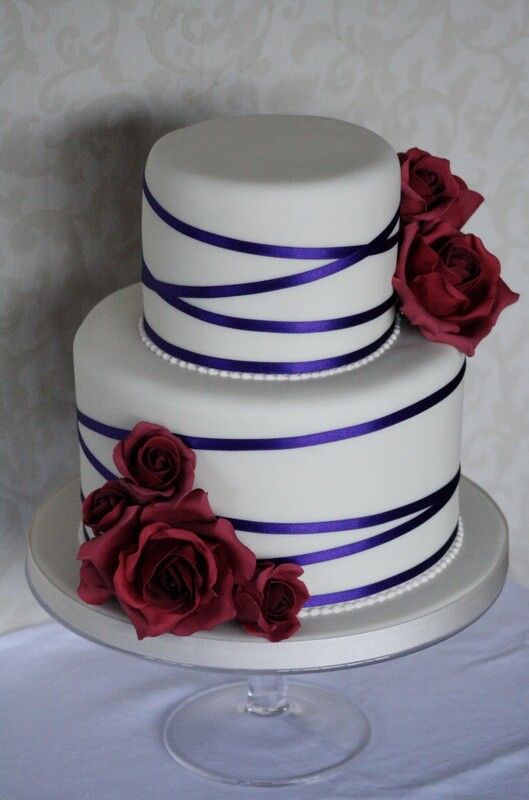 Both tiers coated in white ganache base and ivory finish. 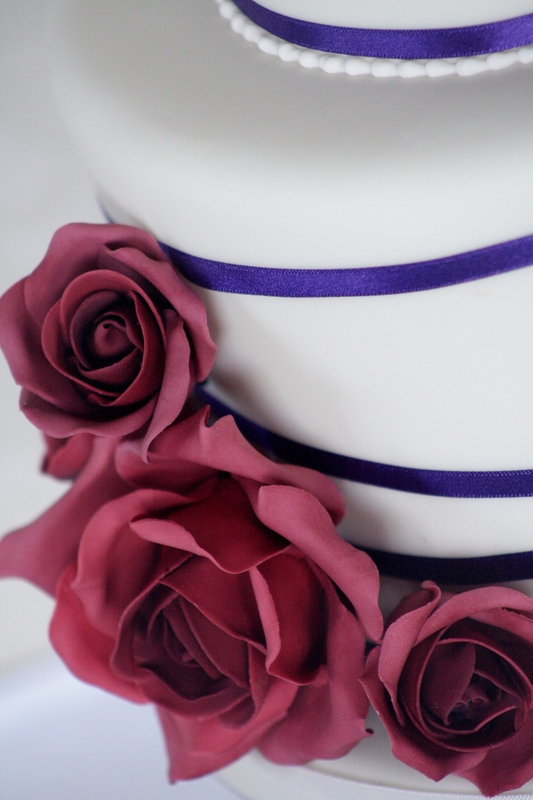 Embellished with deep red sugar roses and finished with hand piped beading and fine satin purple ribboning. Serves 60 finger portions.